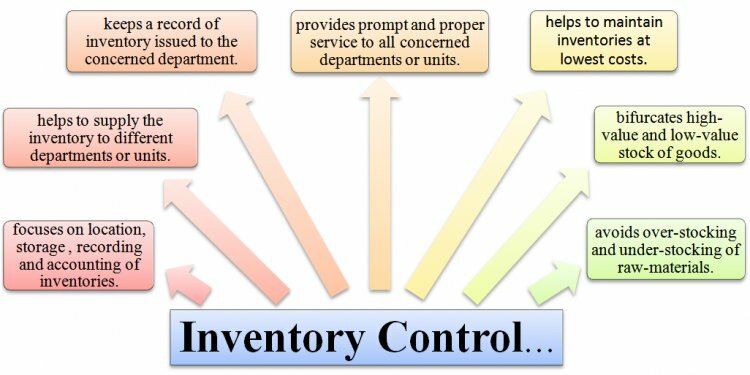 An inventory control system is a system the encompasses all aspects of managing a company's inventories; purchasing, shipping, receiving, tracking, warehousing and storage, turnover, and reordering. In different firms the activities associated with each of these areas may not be strictly contained within separate subsystems, but these functions must be performed in sequence in order to have a well-run inventory control system. Computerized inventory control systems make it possible to integrate the various functional subsystems that are a part of the inventory management into a single cohesive system. In today's business environment, even small and mid-sized businesses have come to rely on computerized inventory management systems. Certainly, there are plenty of small retail outlets, manufacturers, and other businesses that continue to rely on manual means of inventory tracking. Indeed, for some small businesses, like convenience stores, shoe stores, or nurseries, purchase of an electronic inventory tracking system might constitute a wasteful use of financial resources. But for other firms operating in industries that feature high volume turnover of raw materials and/or finished products, computerized tracking systems have emerged as a key component of business strategies aimed at increasing productivity and maintaining competitiveness. Moreover, the recent development of powerful computer programs capable of addressing a wide variety of record keeping needs—including inventory management—in one integrated system have also contributed to the growing popularity of electronic inventory control options. Given such developments, it is little wonder that business experts commonly cite inventory management as a vital element that can spell the difference between success and failure in today's keenly competitive business world. Writing in Production and Inventory Management Journal, Godwin Udo described telecommunications technology as a critical organizational asset that can help a company realize important competitive gains in the area of inventory management. He noted that companies that make good use of this technology are far better equipped to succeed than those who rely on outdated or unwieldy methods of inventory control. Automation can dramatically impact all phases of inventory management, including counting and monitoring of inventory items; recording and retrieval of item storage location; recording changes to inventory; and anticipating inventory needs, including inventory handling requirements. This is true even of stand-alone systems that are not integrated with other areas of the business, but many analysts indicate that productivity—and hence profitability—gains that are garnered through use of automated systems can be further increased when a business integrates its inventory control systems with other systems such as accounting and sales to better control inventory levels. As Dennis Eskow noted in PC Week, business executives are "increasingly integrating financial data, such as accounts receivable, with sales information that includes customer histories. The goal: to control inventory quarter to quarter, so it doesn't come back to bite the bottom line. Key components of an integrated system ' are general ledger, electronic data interchange, database connectivity, and connections to a range of vertical business applications." New technologies have greatly improved the tools used to manage inventories. Powerful computer systems that are linked into networks are now able to receive information from handheld devises. The wireless handheld devices scan bar codes on inventory items and send data to a tracking database in real time. The increased efficiency of inventory systems over the past 25 years made some things possible that would have been impossible in earlier times, like the popular just-in-time manufacturing system. The newest trend in the area of inventory control and management are vendor-managed inventory (VMI) systems and agreements. In a VMI system distributors and/or manufacturers agree to take over the inventory management for their customers. Based on daily reports sent automatically from the customer to the distributor, the distributor replenishes the customers stocks as needed. The distributor or manufacturer sees what is selling and makes all necessary arrangements to send the customer new products or parts automatically. No phone calls or paperwork are necessary allowing the supply chain process to remain uninterrupted.